Silbury Hill is one of those fascinating mysteries that still manages to defy explanation, despite centuries of investigation and all the scientific progress of modern archaeology. It is hard to tell from photographs just how huge and impressive it is; an immense pile of chalk, the tallest prehistoric man-made mound in Europe. 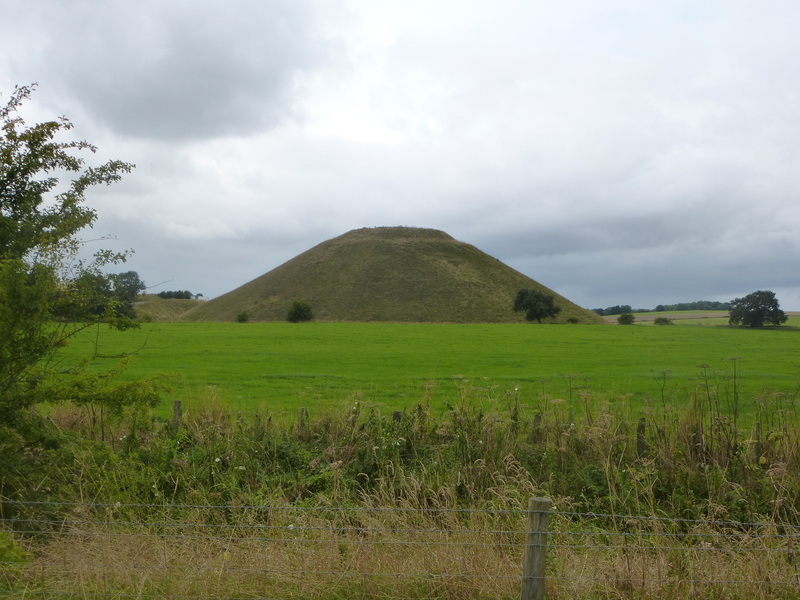 Its purpose is still unknown, and historical attempts to discover burial chambers or secret tunnels were all to end in disappointment, also causing problems with the stability of the mound in modern times. But whatever it is, Silbury Hill is definitely astounding, awe-inspiring, magical. 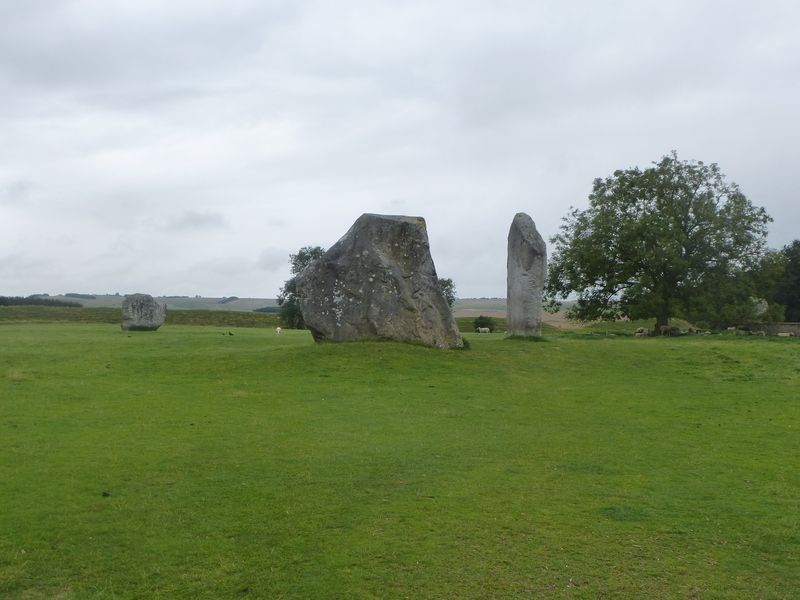 It’s been many years since I visited Avebury. Last time I was there I was in my late teens, and I remember it as a peaceful, wondrous place, its huge circle of stones surrounded by a strangely mystical aura. Since then it has changed dramatically. The National Trust have moved in, and brought with them a huge car park, a visitors centre, a gift shop, and of course hordes of day trippers. The drizzle began just as I entered the village, but that wasn’t the reason that I didn’t stay long. It is hard to get a sense of magic in a place like this, surrounded by crowds, traffic and silly souvenirs. Perhaps an early afternoon in August was not the best time to visit. 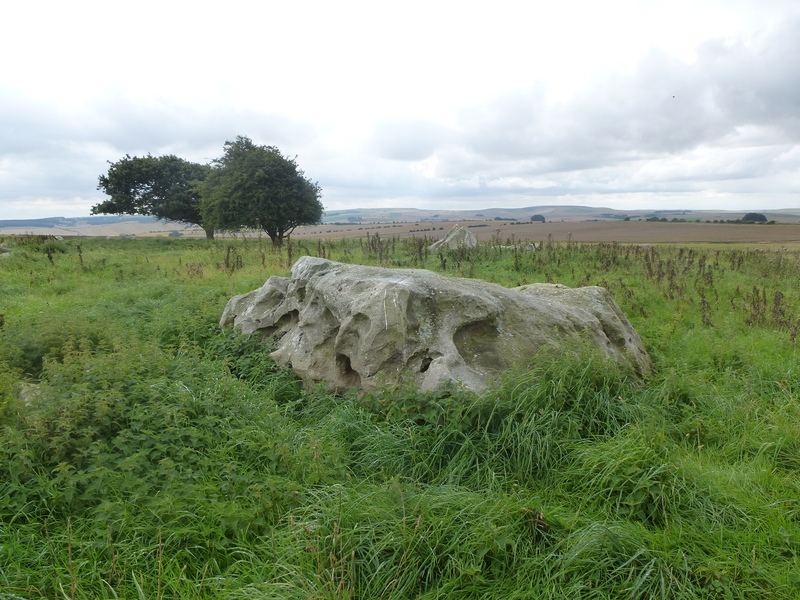 I decided to head on, and as I walked out of Avebury along the Wessex Ridgeway the rain thankfully petered out. 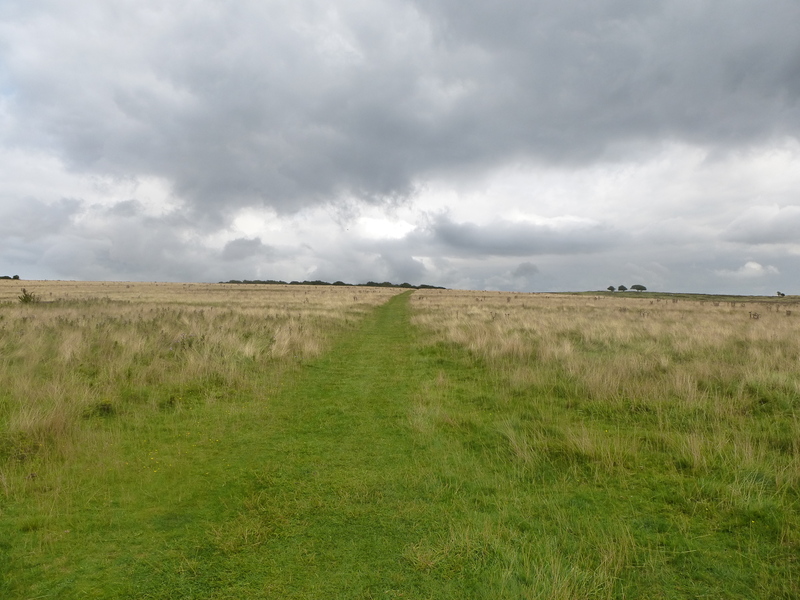 Fyfield Down is a landscape like no other I have seen. Thanks to unique geological conditions, the ground here is littered with huge boulders, or sarsens, which now provide a home to many rare types of lichen. Looking out across the Down, it is hard not to imagine that there was some human involvement in the placing of these bizarre boulders – from a distance it looks like an immense, decimated stone circle – but apparently it is all natural, despite signs that humans have lived here for thousands of years. 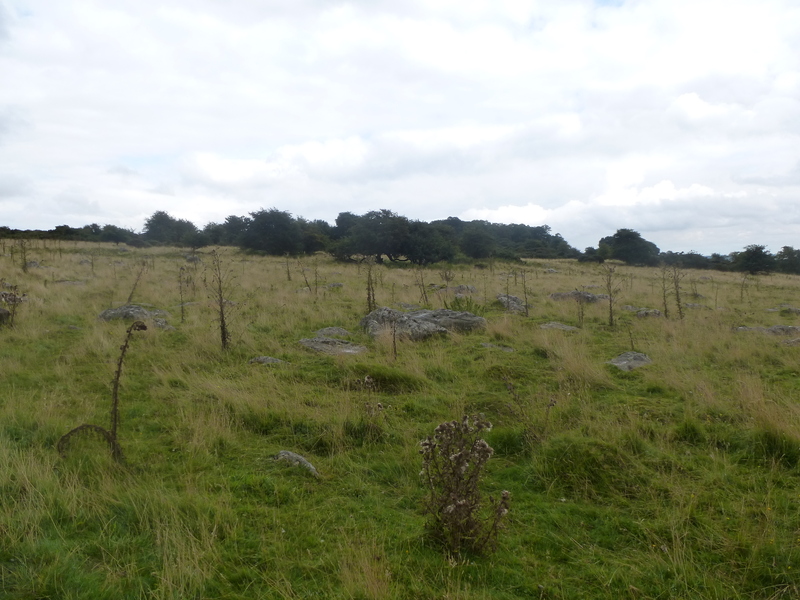 In fact these sarsens were sometimes moved elsewhere, and used in the construction of prehistoric monuments both near and far, rather like a quarry for ready-made standing stones. The final leg of my long walk was all downhill as I descended gradually from Fyfield into the Kennet Valley and back towards Marlborough. I was tired but happy, ready for a nap and a decent hot dinner. My walk had taken me through diverse but always beautiful landscapes filled with history, flora and fauna. It also confirmed what I have always suspected, namely that nothing dulls the atmosphere of magic like a car park full of cars and coaches. Instead I had found magic in the lesser-known places, the spots away from the beaten track. They weren’t quiet places as such, in fact they were often filled with noise; the twitter and screech of birds, the rustle of leaves, the scrabbling of something unseen in the undergrowth, the rush of the wind. But they were places where I could truly connect with the landscape, just as walkers before me have done for thousands of years on these ancient, magical paths.